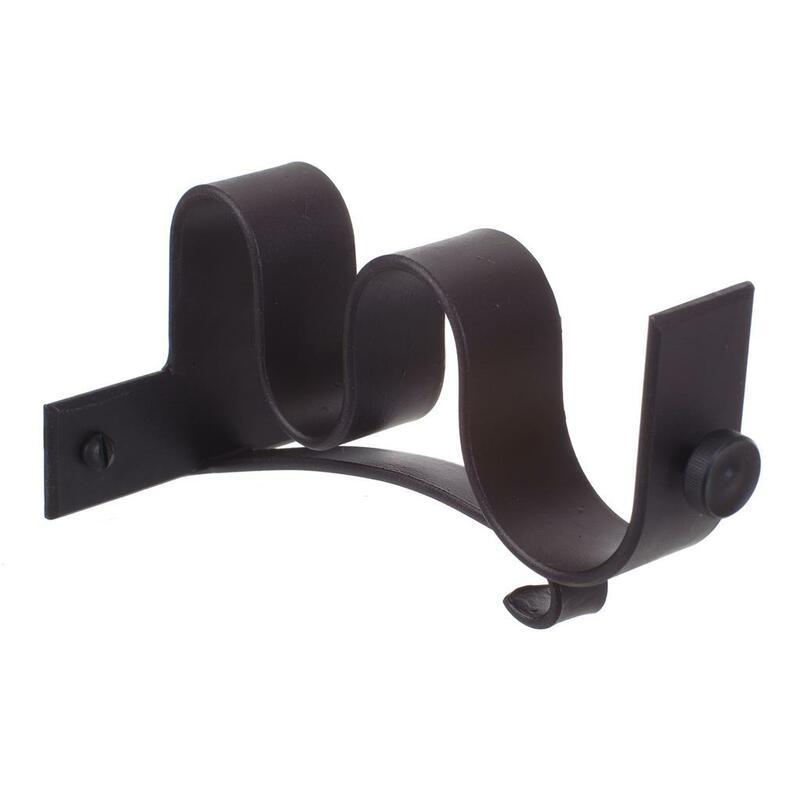 This hand forged, steel Double Pole Centre Bracket allows a 38mm and a 20mm classic pole to be used at the same window. This enables two curtains, or a curtain and blind, to be used together. 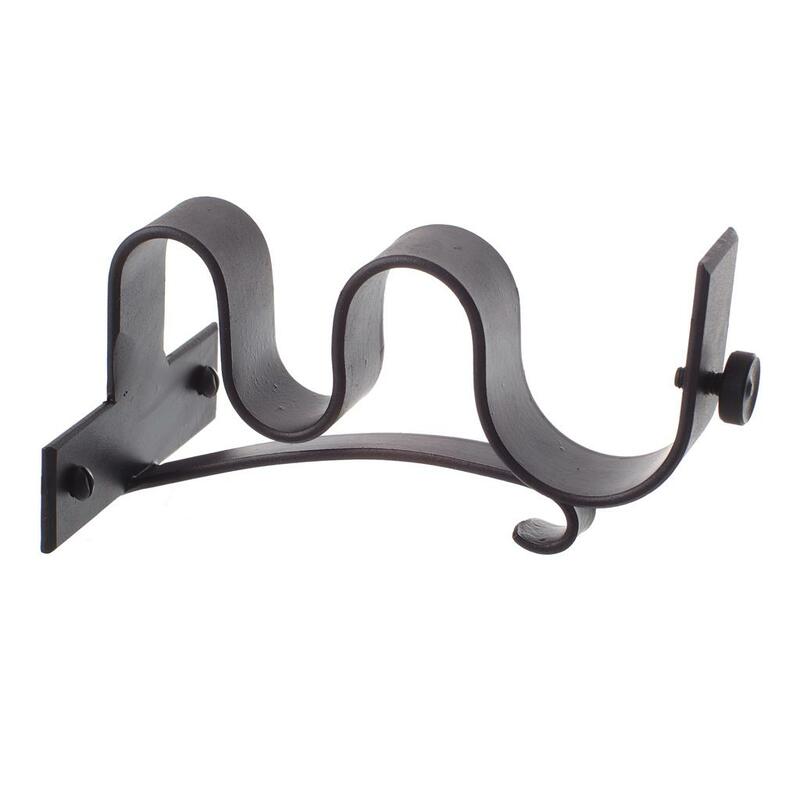 As the name suggests, the bracket is intended for use where a centre support is needed. However it can also be used at the ends of the pole if space is limited. 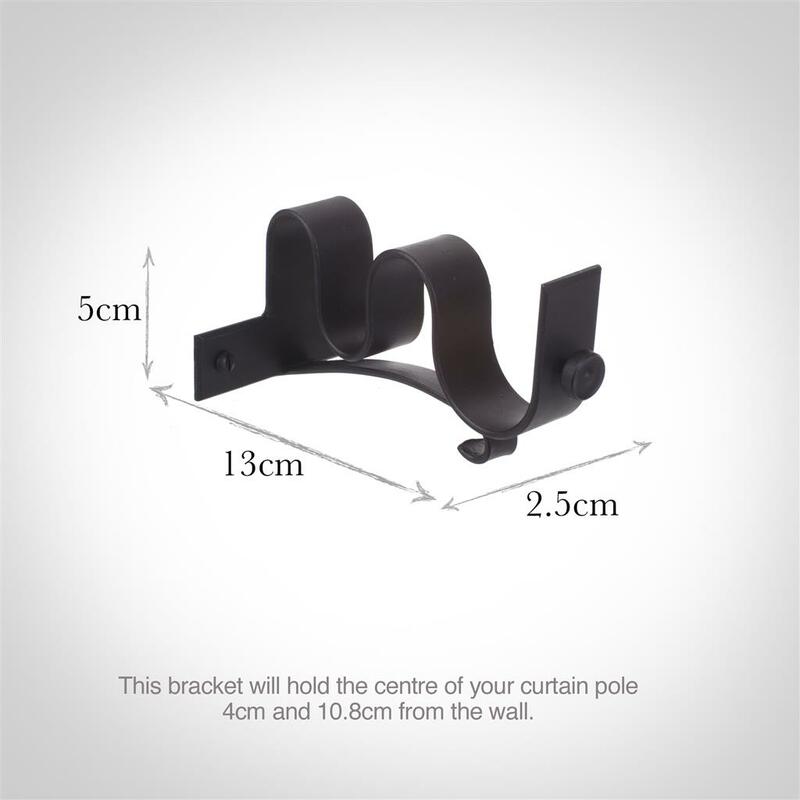 A centre bracket is generally needed on a 20mm pole at about 220cm, and on a 38mm pole at about 250cm, depending on the curtain weight.